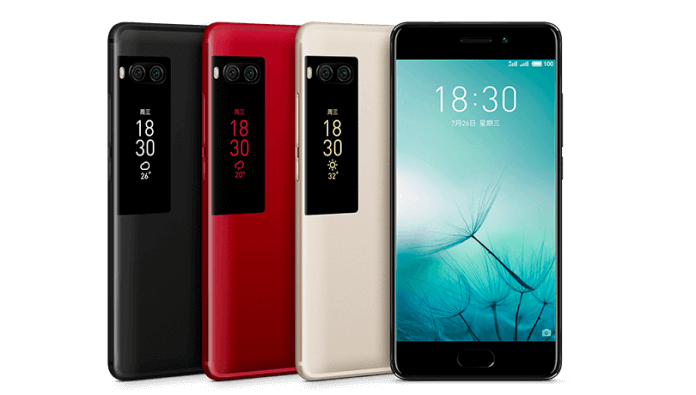 Meizu has launched its new handset Meizu Pro 7 silently after nine months it was released in China. It is a wonderful smartphone with secondary ticker screen along with the usual primary touchscreen. It is a mid-range smartphone which comes up with a price tag of Rs. 22,999 in India. If you are willing to enjoy the amazing services of one of the advanced models of the smartphone; you can easily get it exclusively in black via Amazon India. Meizu Pro 7 and Meizu Pro 7+ were launched in July 2017 in China and have earned really a got success there. Meizu Pro 7 is a fully featured handset having 5.2-inch primary screen along with a perfect secondary display at its rear allowing the users to view notifications such as time, weather. Now, you don’t need to turn your smartphone over and over again to have a look at the viewing notifications on it. Just have a look on all notifications whatever side you are facing on. This secondary screen on board the Meizu Pro7 lies on rear just below the rear camera set-up. If we talk about the size of the second screen of this wonderful handset; it is fairly substantial at 2 inches. Meizu Pro 7+ includes an AMOLED panel and hence the colors will get automatically get out of their way to pop and please the users. Moreover, it also offers a quick setup for clicking selfies as well by using rear facing camera just like you do while working with the front camera. Meizu Pro 7 will enable you to enjoy perfect pictures with the help of 12 megapixels Sony IMX386 with f/2.0 aperture, PDAF, LED flash and two sensors on the back of the smartphone. Both of the camera aperatures are capable of clicking perfect pictures as monochrome and colored ones. The software of Meizu Pro 7 merges the images taken by both the apertures perfectly and hence offers you one of the ultimate pictures. The Meizu Pro 7 handset comes up with an outdated processor i.e. MediaTekHelip P25 along with 4GB RAM and 64 GB internal memory storage. It means that you can easily store a lot of your personal data easily on your handset without having any issues. The picture resolution of this wonderful smartphone is another feature which really needed to be appreciated. It is a 1080p super AMOLED screen handset which comes up with a 3,000mAh battery backup. Now you don’t need to wait for a long time while charging up your phone as Meizu Pro 7 handset is perfectly designed and developed to support fast charging technology. The handset includes perfect USB Type-C for charging and data-syncing enabling various functions. This wonderful handset includes Flyme OS 6 software and works on Android 7.0 Nougat operating system. If we talk about the design of the Meizu Pro 7; the handset includes a full metal body along with a front mounted fingerprint scanner and hence don’t need to worry about security issues as well.